I was frustrated today(15th Apr) at home, was so pissed off just wanted a reason to leave home. Thats when D called, and I decided to goto his place. It was about 8:20pm when I reached there through all the hussle bussle of kothrud. So we (D/Anajali/Shilpa/Sujatha/Komal) were all in relishing on a pizza from smoking joes after a walk and some guppa tappa. Finally decided to end the meet at about 10:30pm, we reached the bus stop at around 11 pm since komal was to leave for her gaon. D/Anjali and me drove back home enjoying some amazing naturals ice-create nroute. So up I go and sit on one of the chairs and D on the couch, while Anjali did some house work before retiring for the day, we maintained this position all through the ensuing conversation with minimal breaks. It all started with general office talks, u know the usual crap- I am frustrated with my boss -group politics types. The talk went on and on, slowly took a turn to recaling past memories from ASC days, then sort of recounting what the departed ones are upto no-a-days. The discussion went on and on, it enterd the marriage front: LOve marriages -arranged marriages. D shared some of his experiences of friends from the Saathiya style tie ups, while I accunted my share. Somewhere at this pont D suggested we have some cold milk (Milk shake types). So he boiled the milk mixed the Mango syrup and cooled it down while I stood beside him with tounge hanging out for the sweet drink. So the discusion went on, continued where we left, slowly the topic made way for the UK stay. By now my dad had called me reminding the time for 1:30am, I said I would leave in about 1/2 hours time. So the talk went on though the night, D kept changing his position on the couch into yoga postures, then dancing with his neck and all. I must confess there were a fews moments here and there when it could clearly be sensed that we could call it a day/night/morning whatever and wrap up -you know the type, the talk goes on and there is this sudden silence and u keep scratching ur knee or keep wagging ur leg and stretching ur arms clench your teeth and and go " .. eeehh... yaaa. .. aahhhhh". Well no one wanted to stop. So the discussion went on, UK days - yes UK days, by now the sleep had sort of given way and the milk started playing its part -Giving the mouth enough stamina to wag its tounge and the brain enough monotone to enter drowsyness. But we spoke on, at this point it was like talkling in our sleep. I frankly dont remember all the stuff we spoke at times, but I remember me and him just continally yapping on topics (they were very relevant for that point in time). So we recounted on Viky and his good old company, also the moments we had in UK during our respective stays. Then somehow the discussion went on US and other countries we visited and started this small comparison game (dont remember what we comapred). D related amazing kissas (by now all drowsyness was lost) of his time with his friends in UK. The way they use to corner out this one guy- Pankaj (he had become the unsung hero for the next few minutes -it must have well been an hour). We laughed heartily over them, then came my turn to relate my UK saga the tough and humorous times and the way my sis tied the knot and said yes to the boy the day I was to fly to UK. The talk just never seemed to end. I tell you if some how the night time could have slowed down, we would have coverd all aspects of our lives- from birth to the current, it was amazing how we recalled so many things. All this while - from preparing the milk shake - I was playing with this little ball with an elastic string that glows when the string is pulled (so u keep revolving the ball with aid of the string and you have this blue light going round and round making a wheel)- I loved that 10 Rupee toy ,swore that I would buy it some day. Anjali was making her 3rd trip out of the room- D started moking her and she retired back to bed after having a sip of water not realising any of his comments :-). Thats when we looked at the watch it was 4:30 am!!!! So we smiled at each other in a wird way, we had to stop! D asked me leave in the morning and sleep back, but I decided other wise since now it was morning and knew I would not be disturbing my folks back home. So I bid my farewelll- now our voices started to crackle. We both knew we could go on yapping- but rest is of importance (and from my standpoint D is a married man and I have been stupid enough to keep him awake all night in never ending talks and gossip!) :-). So I drove back, I could see many people wide awake. The morning walkers were already on their brisk and lazy stroll. The moon was full and bright and hid behind the reddish clouds most of the times. The newspaper trucks were waiting at all the major distribution centers. At Null Stop there was a huge commotion of paper vendors and the salesman. I loved the sight. Was an amazing night/morning whatever! Wow, what a co-incidence!! U spent Sat night yapping till 5 am while I danced it away in a discotheque till 4 am. Unfortunately, could sleep just about 3 hours & then the sun was on my face. Drawback of summer, really early sunrise!!! 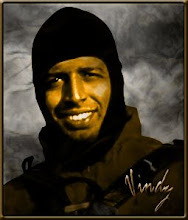 Vindy, the 6th para was amazing. I burst into laughter as I read it. Well, I was not aware during the night about this. Too good man...too good writeup (as usual, its a different thing, I commented for the first time today). Some years from now, we will be happy reading this blog and remembring this time. O jee mai kiya.. after reading this after couple of years from that 'night/dawn/morning', it feels so good to have spend the time that way. And the way you have written.. the entire scene at that Pune flat is in front of my eyes! Kudos to you!